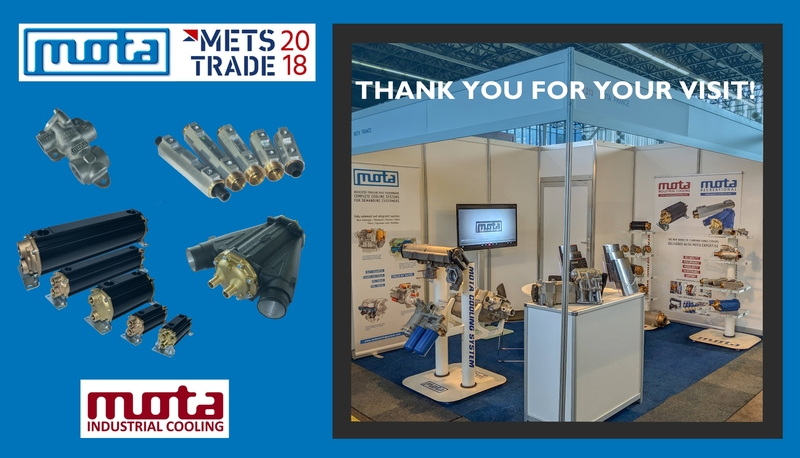 The MOTA team at METSTRADE in Amsterdam was pleased to welcome you to the MOTA stand, to present MOTA’s design capabilities for dedicated cooling systems but also for standard exchangers sold on www.motaindustrialcooling.com and www.motarecreational.com. The number and quality of the visits are representative of the enthusiasm for this new activity for MOTA, and we would like to thank you for it. We therefore invite you to visit these same websites to discover all the specificities of our standard exchangers. Do not hesitate to contact us!